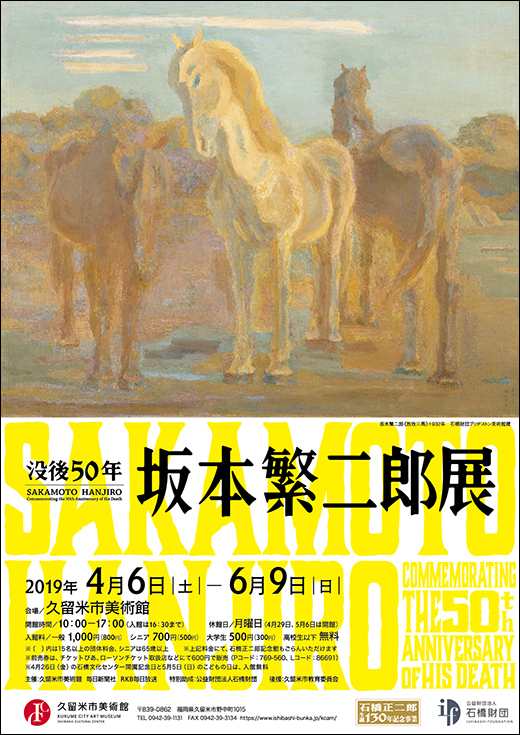 We have opened Special Exhibition from Saturday, April 6, 2019. We have opened Special Exhibition from Saturday, January 19, 2019. We have opened Special Exhibition from Saturday, November 17, 2018. We have opened Special Exhibition from Saturday, September 22, 2018. We have opened Special Exhibition from Saturday, July 21, 2018. We have opened Special Exhibition from Saturday, July 14, 2018. Mondays (except on holidays or observed holidays), during the exhibition preparation periods (12/28-1/3), New Year holidays. ※For the latest information, please see our calendar.